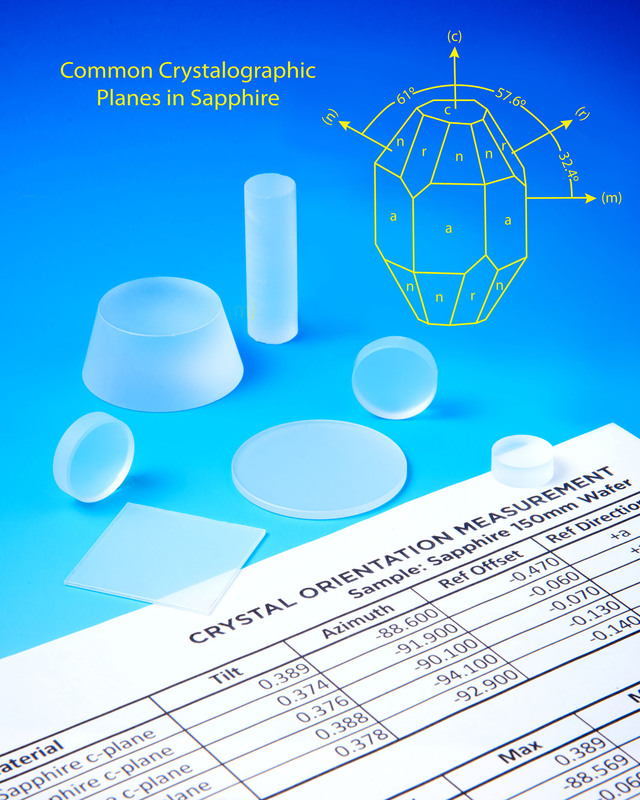 A new service that provides a complete lattice orientation of single crystals and is suitable for a wide variety of materials, regardless of size and weight, is being offered by Meller Optics, Inc. of Providence, Rhode Island. Meller Optics’ X-Ray Goniometry Service measures the complete lattice orientation of single crystals with precision up to (1/100)° and provides a misalignment report of tilt and azimuth. Capable of also machine marking the orientation and applying a reference flat, this service can be performed with material samples ranging from 0.25” sq. up to 20kg ingots. Ideal for sapphire, single-crystal quartz, silicon, MgF2, CaF2, BaF2, spinel and other materials, Meller Optics’ X-Ray Goniometry Service is typically performed to validate orientation when thermal-expansion, -coefficient, and the index of refraction needs to be constant in all directions, and when birefringence must be min. or max., and polarization effects are critical. Meller Optics’ X-Ray Goniometry Service is priced from $195.00, depending upon customer requirements with a report offered within a week.